* Opernplatz has been newly named so and some navigation systems may not include it. As an alternative you can enter “König-Heinrich-Platz” if necessary. 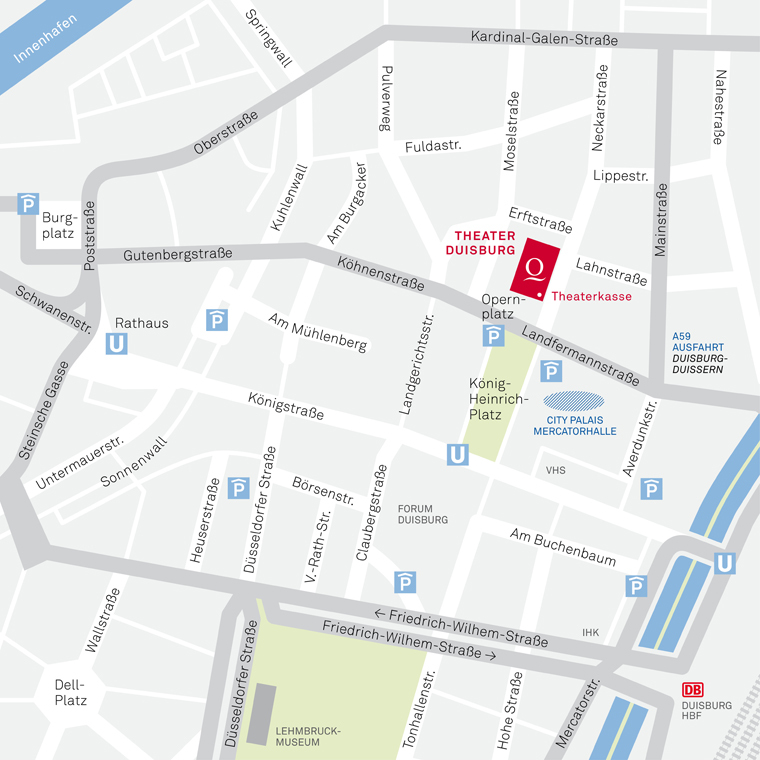 The theatre is about ten minutes walk from Duisburg main rail station. Follow the signs to the city centre (Zentrum) and to Stadttheater or Mercatorhalle. The parking blocks City Palais and on König-Heinrich-Platz are in the immediate vicinity and offer an evening lump-sum of € 3.50 (Monday to Sunday from 6 p.m. to 5 a.m.). On Sundays parking until 6 p.m. costs € 2.50 lump-sum. All automats calculate the fee automatically.